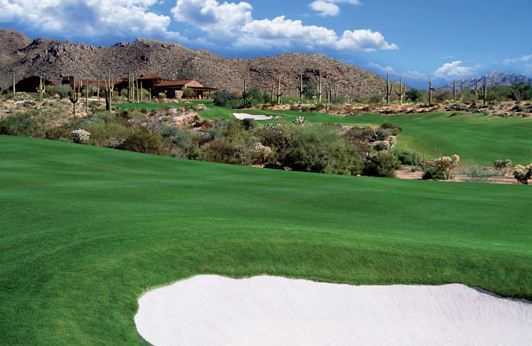 The Golf Club at Dove Mountain features 27 challenging holes that are played in three different 18-hole combinations. The Saguaro/Tortolita golf course is naturally named after its beautiful landscape of centuries-old Saguaro cacti nestled at the base of the Tortolita Mountain Range. 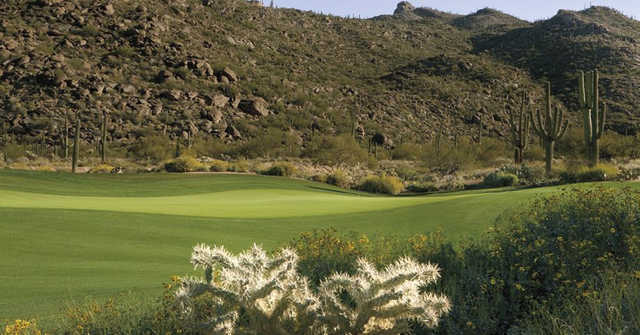 The Golf Club at Dove Mountain features 27 challenging holes that are played in three different 18-hole combinations. The Saguaro/Tortolita golf course is naturally named after its beautiful landscape of centuries-old Saguaro cacti nestled at the base of the Tortolita Mountain Range. The golf course meanders though desert washes covered in native flora and fauna. There are large greens that feature plenty of movement. The par-3 third hole on the Tortolita nine has the highest elevation of any at the golf club. There are also strategically placed fairway bunkers and a few forced carries.